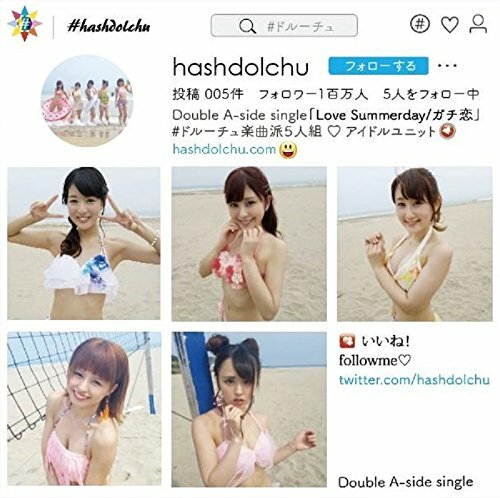 “LoveSummerday” is the lead track for the latest double A-side release from #dolchu (that’s “hash dolchu”). It appears that we are not finished with bikini promotional videos, because are the girls in their two-piece beach wear. “LoveSummerday” plays a distinctively festive sound with the drums beating out a bit of a samba groove. And, I think this says everything you need to know about “LoveSummerday”: the fun beats play backdrop to the images of the girls playing joyously at the beach and bouncing through their choreography. There’s fun to be had here at the ocean side, and if you’re not careful, you might find yourself buried in the sand … which is alright given the circumstances. The beach play begins for #dolchu on August 29, 2017.